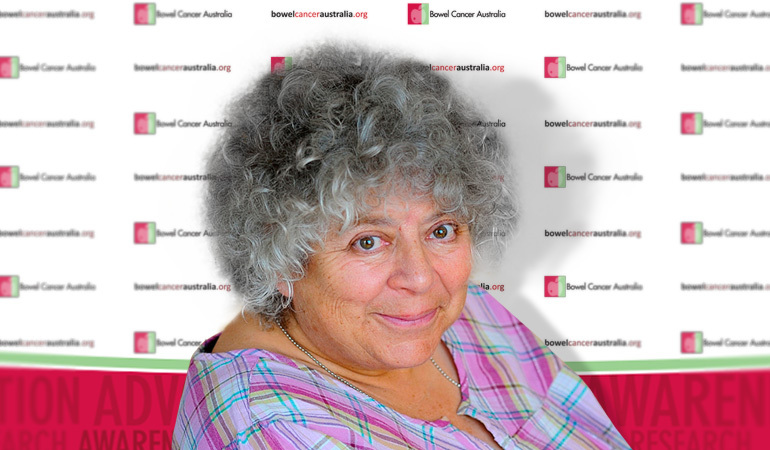 One of the grande dames of theatre, film and television Miriam Margolyes has taken on yet another challenging role as an Ambassador for Bowel Cancer Australia. The British-born actress, who became an Australian citizen last year, continues to enjoy a varied and celebrated career since her first adventures in repertory theatre some 50 years ago. She is currently performing at the Adelaide Festival Centre in Neighbourhood Watch, a comedy about an unlikely friendship between two women and can be seen regularly as Aunt Prudence in Miss Fishers' Murder Mysteries on the ABC. Despite her busy international schedule, Ms Margolyes wants to use her profile to boost community awareness of bowel cancer. The disease has affected some of her family members including her grandmother who died from bowel cancer. "I'm working to raise awareness of bowel cancer because I know it's one of the easiest cancers to treat if it's caught early. Unfortunately it's often embarrassment which stops people from seeking help or having the vital screening tests they need," she said. "I think you can be funny and serious about this very common disease. I have that ability which I want to put to use and I'd like to think my attitude can help others," added Ms Margolyes. Bowel Cancer Australia chief executive Mr Julien Wiggins said he was delighted Ms Margolyes was prepared to use her profile and donate her time and skills to help reduce the impact of bowel cancer in the Australian community.  "People often find it difficult to discuss bowel cancer so we look forward to working with Ms Margolyes on creative ways to convey important messages about the prevention and early detection of bowel cancer," he said. Ms Margolyes has earned numerous awards for her work and was appointed an Officer of the Order of the British Empire (OBE) for Services to Drama in 2001. Her film roles include the characters of Professor Sprout in the Harry Potter franchise, Juliet's nurse in Baz Luhrmann's Romeo & Juliet, and Mrs Mingott in Martin Scorsese's The Age of Innocence for which she won a British Academy of Film and Television Arts (BAFTA) Best Supporting Actress award. She has worked across theatres in London's West End, on Broadway and throughout Australia. Notably she played the headmistress Madame Morrible in London and Broadway productions of Wicked. Her one-woman show Dickens' Women, nominated for an Olivier Award, toured Australia in 2012 as part of a triumphant world tour for the Charles Dickens bicentenary. She was also the voice of the border collie Fly in the much-loved film Babe and has recorded over 40 audio books.